Thanks to Delta4 Family you can control dose delivering in all modern treatment technologies (VMAT, IMRT, SBRT, 4D-RT and TomoTherapy). With all QA based on real measurements you can be confident that the dose delivered to your patient also is what you had planned. 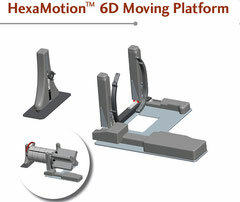 Delta4 At Treatment: High accuracy monitoring of the dose delivered to the patient during the treatment, to verify that it is the same that was planned for that patient. - Confidence in IMRT and modulated arc treatments. - Connection with the Record&Verify system. 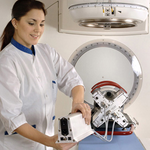 The Delta4 Pre Treatmentphantom uniquely offers a fast and accurate verification of complex radiotherapy treatment modalities. Delta4 is a cylindrically shaped PMMA phantom, surrounding two crossing orthogonal planes with a total of 1069 p-Si diodes, very small in dimensions and spaced with high resolution. 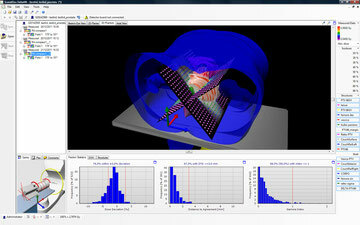 Its link to the trigger signal of the LINAC provides a "4D" analysis. - Verify the dose delivery in the three space dimentions and instantly analyse and approve plans, for all kind of treatments. - Analyze the clinical significance of deviations and find the causes of deviations. The Delta4 Phantom is also availble in Plastic Water which allows you to perform your patient plan QA consitent with the dosimetry protocols TG-51 and TRS-398.